When I went to design school and studied Gothic architecture I learned that the greatest expression of this style were the churches. Along with that I learned that they were much more than religious buildings but also the expressions of the lives of those who built them. Today, I see them as works of art, representations of other people's cultures and places where people feel at peace. 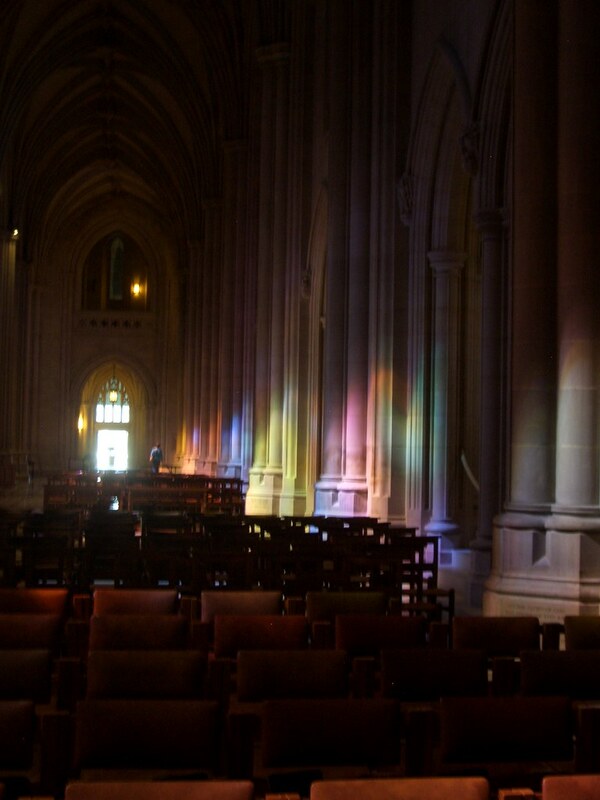 One of the things that I loved the most at the National Cathedral in DC was the beautiful stained glass windows and the colors they reflected on every surface. The play of light was impressive and definitely gave the whole environment that air of divinity that the people in the Middle Ages looked for. The cathedrals, the stained glass the statuary, artworks; truly the finest examples of art & architecture in the world! So beautiful! You have taken some great pics!! I have been in love with old churches and cathedrals since childhood. I have never seen this one though, it's beautiful! One of my Nordic favorites is the Nidaros Dome in Trondheim, Norway. Wow, that first photo is so neat! Great pics! at first glance i was thinking "huh. they put up coloured strobe lights to make the church all modern and all" then I read your text and saw it was from the stained glass. that is PURELY MAGICAL. gives me goose bumps. there is nothing more peaceful to me than the inside of a cathedral and to see the light like that dancing must be awesome. Wow, those photos are gorgeous!! It really amazes me what the human mind can dream up, and then build. Beautiful. Gorgeous! Peace, beauty and majesty in one place. your photos capture it beautifully! you've solidified my need for a d.c. weekend trip. beautiful photos! gosh i just love old cathedrals, there is so much to them! love the images you posted with the stain glass..beautiful! Amazing shots. Thanks for showing me the light! Gorgeous! The light is outstanding! Beautiful cathedrals! I love visiting them! This place is a must-do for anyone going to DC! Really it is magnificent! smiles. oh my goodness....the light from those stained glass windows is beyond gorgeous! lovely photos. Gorgeous cathedral! 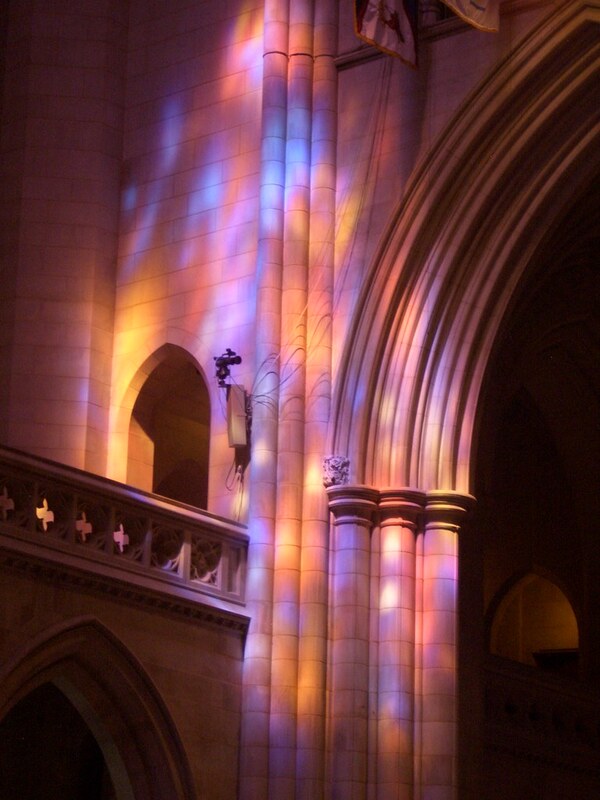 I too really like how the light from the stain glass plays on the walls. That first photo the light is stunning. Thanks so much for your comment and visiting by blog. 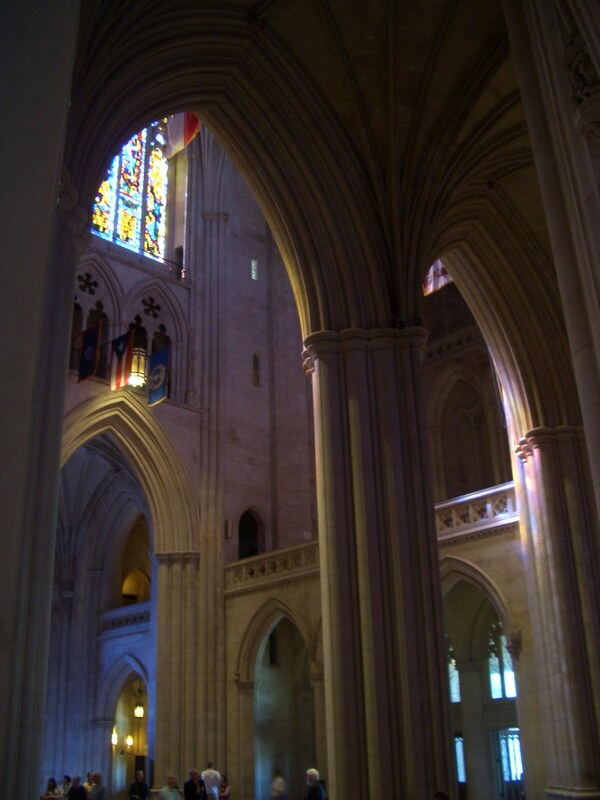 i've recently discovered the majesty found in cathedrals. 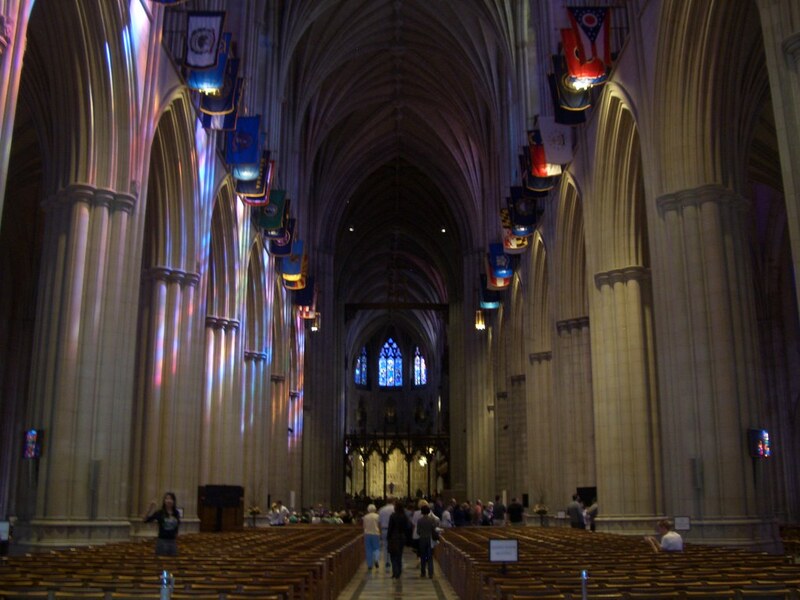 the national cathedral you have photographed here is incredible. i love the lights (see the light). enjoy your weekend! These photographs are amazing. I'd love to have some stained glass in my home someday...something really nice and simple. For now, I think I'll have to follow you and visit some cathedrals. Wow what a really cool surreal place. I adore all the colours and those ceilings. Gorgeous!